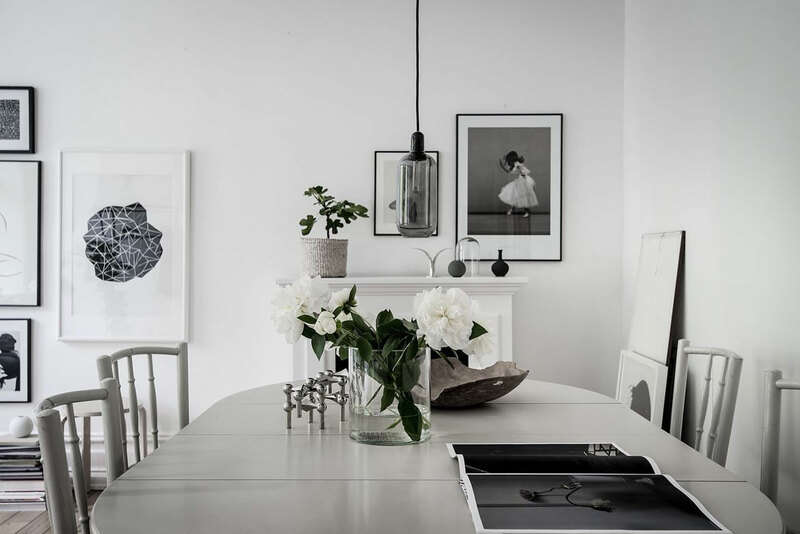 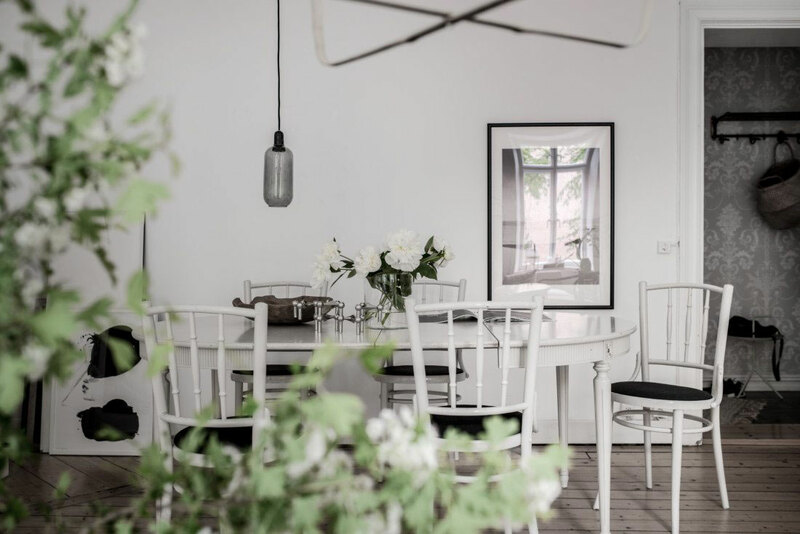 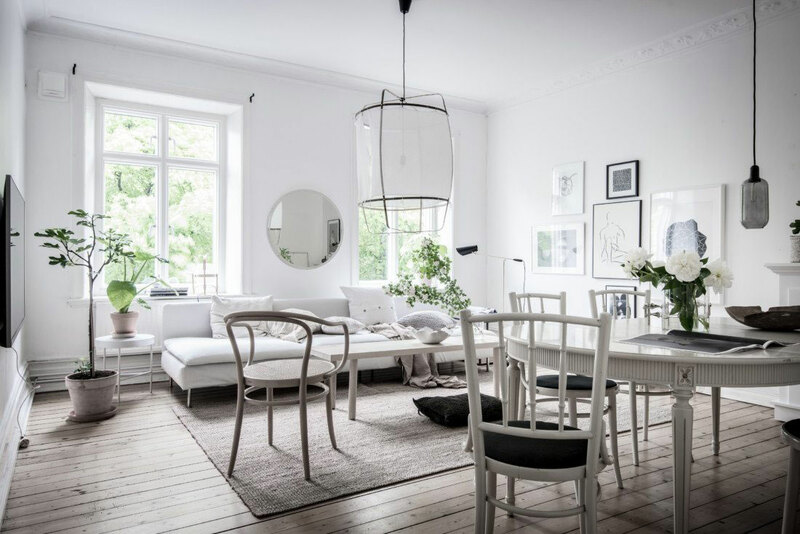 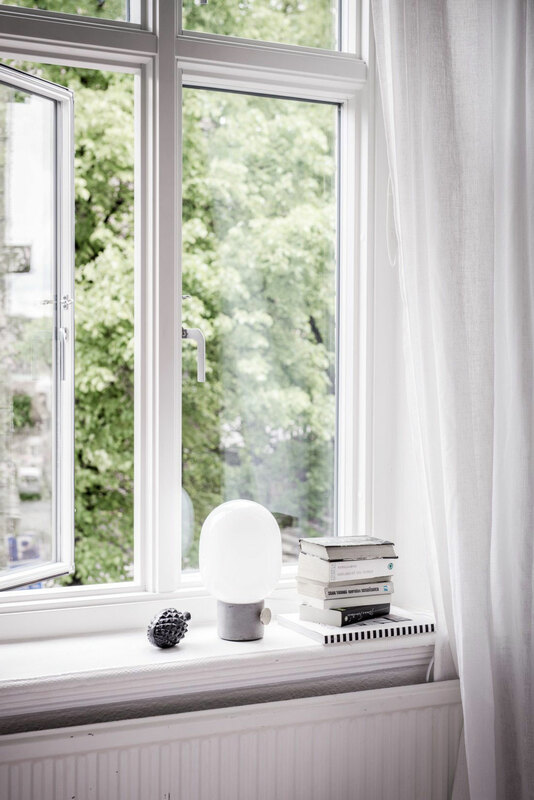 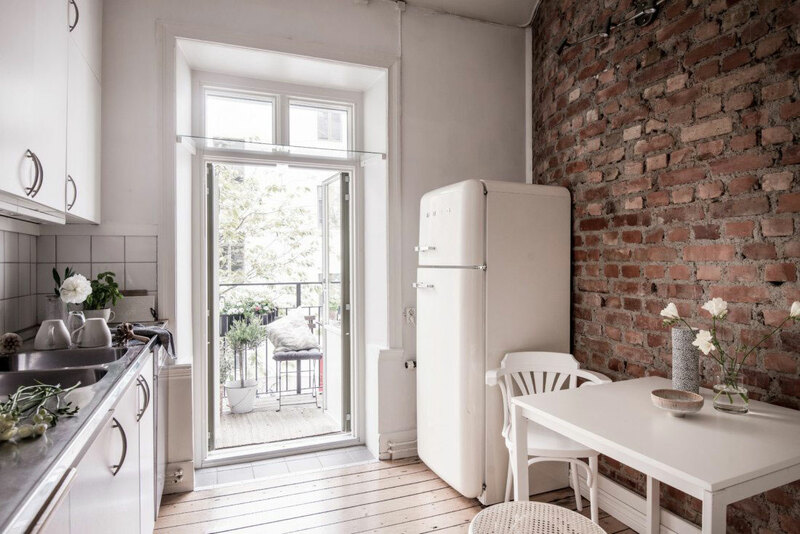 I stumbled upon this luminous Gothenburg apartment recently, and thought you might also welcome this as a little breath of fresh air! 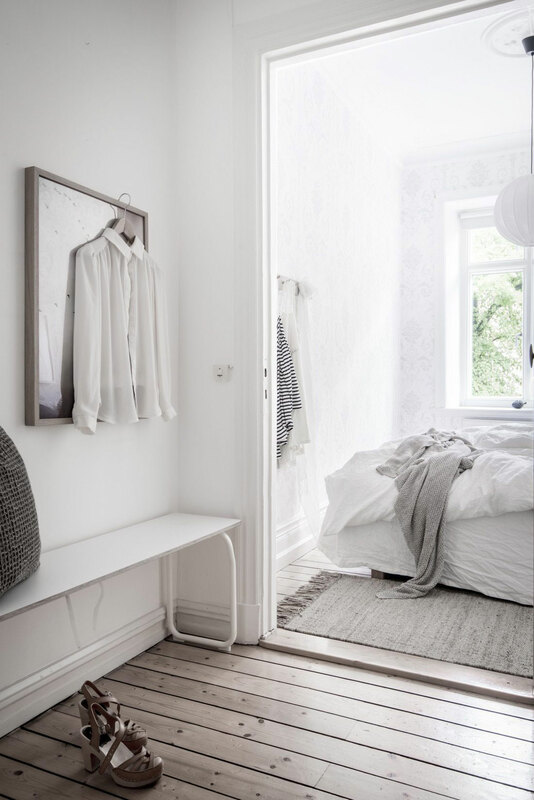 The palette consists of several shades of white, accented with wood to warm up the look as well as a few black details to tie it all together. 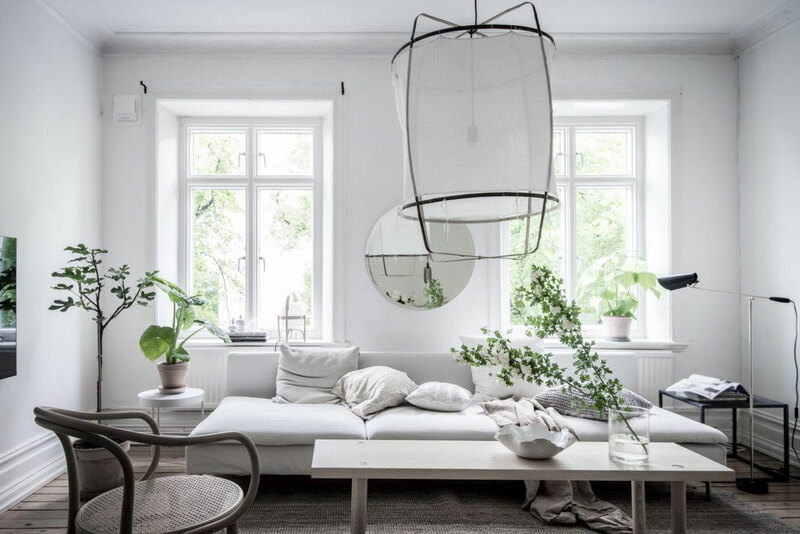 The numerous green plants – powerful decorating tools – add an invigorating touch of color, texture and life. 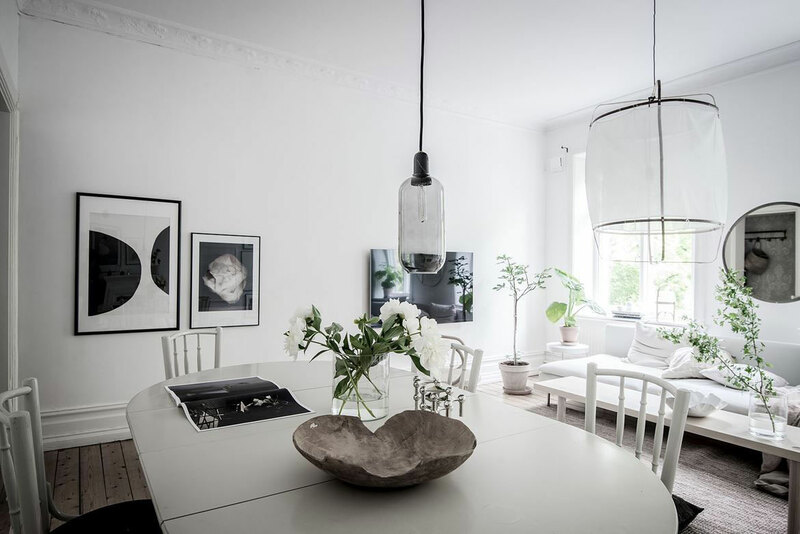 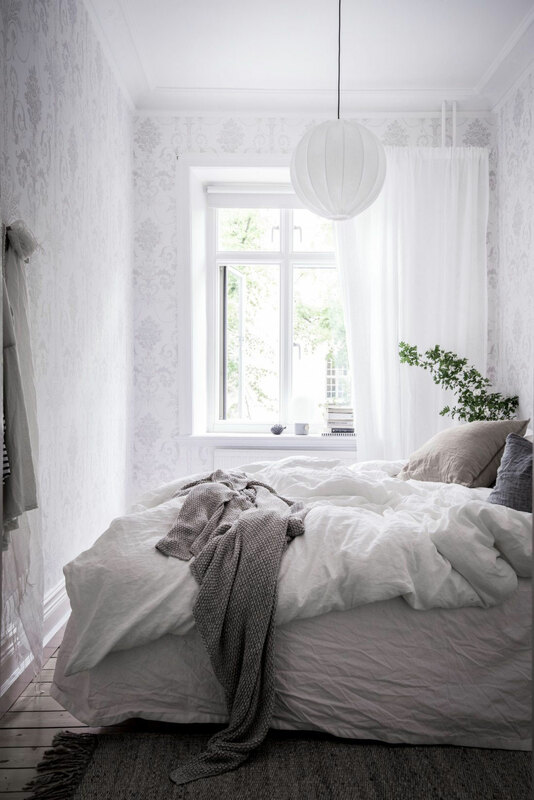 The overall atmosphere is casual and inviting, with a beautiful simplicity. 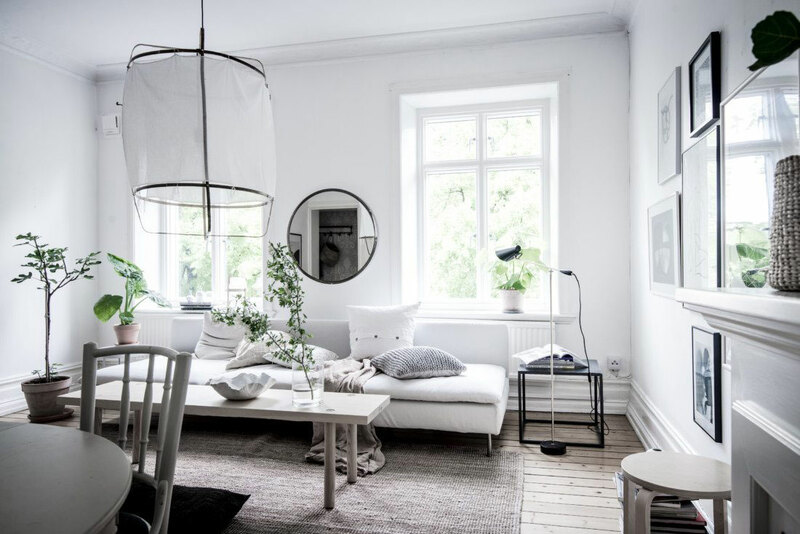 For more lovely homes, check out my inspiration gallery.